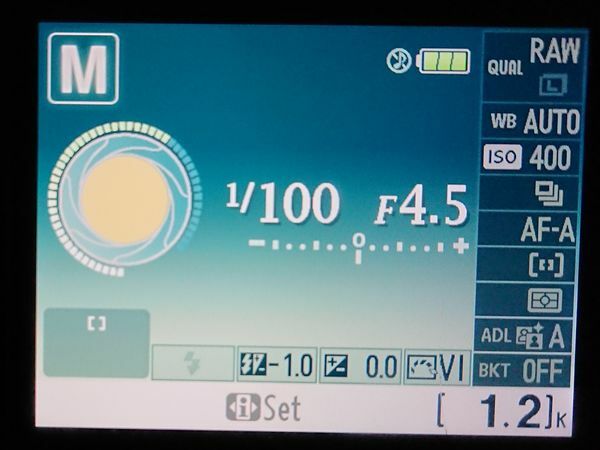 What was your metering mode and what did you meter specifically? This is a two minute exposure. Imho, I don’t think you need to be in bulb mode. Your settings are otherwise fine. Try letting the camera figure out the shutter speed. I use the camera's exposure meter. ISO at 100, f stop at whatever you choose then I set the my variable ND filter to about half way and adjust the shutter speed and ND filter until I get proper exposure on the cameras exposure meter. If I want a slower shutter speed then I have to go higher with the ND filter, the faster the shutter speed the less ND filter you need. Once you go to lowest ISO and highest f-stop the only two things left to adjust are ND filter or shutter speed. The OP isn't using a variable ND filter. If you have a 10 stop filter the exposure is 1000 times longer than without the filter (2^10 = 1024 ~ 1000). Choose your f stop and determine the correct exposure time without the filter and then multiply by 1000. A 13 stop filter is also useful in bright sunlight ( multiply by 5000). You may have to use bulb and you may like an intervolmeter. here are lots of links. This is the Display I see on my Nikon D3300. The photo now shows the tic mark at "0" which is normally proper exposure. If it is on the minus side I know I'm under exposed so I have to let in more light or raise the ISO...lower f-stop or slower shutter speed. If it is on the plus side then I know I am going to be over exposed so I have to let in less light...higher f-stop or faster shutter speed. If you max out on those settings and are still over exposed then you need the ND filter to reduce the amount of light hitting the sensor. Again, I'm just a beginner and don't claim to know exactly what I'm doing. I've read a lot, watched youtube and practiced and this is what I have taken away from all my efforts. I'm open for any advice or corrections if I've have misspoke. Hello Gary, If you have a cell phone I can offer a system that will quickly get you a proper - or very close - exposure the first time. I routinely use a 10-stop plus circular polarizer and figure the combination as 12-stops. First, download "myLightmeter" or similar app and "LE Calculator". Meter the scene with myLightmeter using your desired ISO and f stop, then transfer the recommended shutter speed to LE Calculator. It will give you the shutter speed/exposure time to use given the strength of ND filter you use. It will either nail the exposure or get you very close. Well, if the shots are under exposed, you have to either increase your ISO or increase the exposure time. This is good link that probably explains it better than I could. Here's one I took at 30 sec, f18 and ISO 100. I wanted the 30 sec exposure so I adjusted the ND filter and f-stop until the camera's exposure meter showed proper exposure. I was experimenting with different exposure times and was adjusting the filter and f-stop to see what results I would get. If he is already using a 10 fixed ND filter then he needs to go to a faster shutter speed to not over expose. Again, I admit I'm new and have a lot to learn but I like having the variable filter. On long exposures I set my ISO to 100 and my f-stop to whatever is suitable then I can adjust my shutter speed and ND filter until I get proper exposure. It has worked for me and I don't have to get a calculator to figure it out. I let the camera's exposure meter do the final calculation. When I have everything set right the meter shows me so. 2^13 = 8192 so 0.01 x 8192 = 81.92 secs so 50 seconds would be under exposing , but thank you for getting me thinking about the Math. 50 seconds wouldn't be bad, maybe a little under exposed but highlights tend to be higher than we would like and this would protect them. Gary, There is an I phone app called ND timer that calculates the shutter speed prior to the ND filter being attached to the lens based on the strength of the filter, say ND 10. The calculator then says you need, lets say, 40 seconds of exposure with the ND 10 filter attached, bulb mode, cable release, pre-focus prior to attaching ND filter, close view finder window, and tri-pod mount. Should give you a perfect exposed photo. Google Scott Kelby for video and detailed instructions. Hope this helps. The I phone app is like $1.99. Have you got a smart phone? If so, there are apps you can install on it to help with exposure calculations. 1. The top half "Current Exposure" has three "dials" you can quickly set to the camera's recommended settings WITHOUT the ND filter. On a bright, sunny day you can be pretty sure that at ISO 100 and f/16, the shutter speed should be 1/100. 2. The lower half "New Exposure" allows you to change the ISO and the aperture... and to add different strengths of Neutral Density filter.... and shows what resulting shutter speed you'll get. I left everything else the same and dialed in a 10-stop ND, and got an exposure of 10 seconds (you used f/22, so would have gotten a 20 second exposure). If you are out on a bright, sunny day and want longer than 10 seconds with f/16, you'll need stronger than your 10-stop ND filter. Get a 4-stop or 6-stop to stack on top of it. If you want to install an app... search with your phone, to find similar. The free (and easy) Android phone app I installed is from Quicosoft. 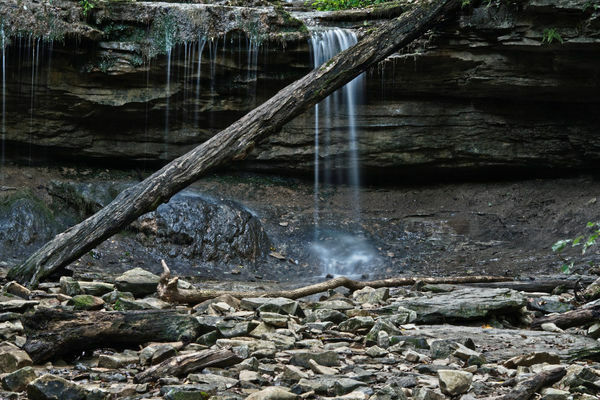 Some people find the shutter speed numbers confusing when making long exposures. We're accustomed to the fractions and now we're talking in multiple seconds or even minutes. Keep in mind that 20 seconds is only one stop more exposure than 10 seconds.... while 40 seconds is two stops more... and 80 seconds is three stops more. Each doubling of the time allows in twice as much light. You mentioned using ISO 100 and f/22... which would give a 20 second exposure in the same situation. HOWEVER, I would recommend you NOT use f/22... due to diffraction and for other reasons. I would recommend no smaller than f/16 aperture... f/11 would be even better if possible.